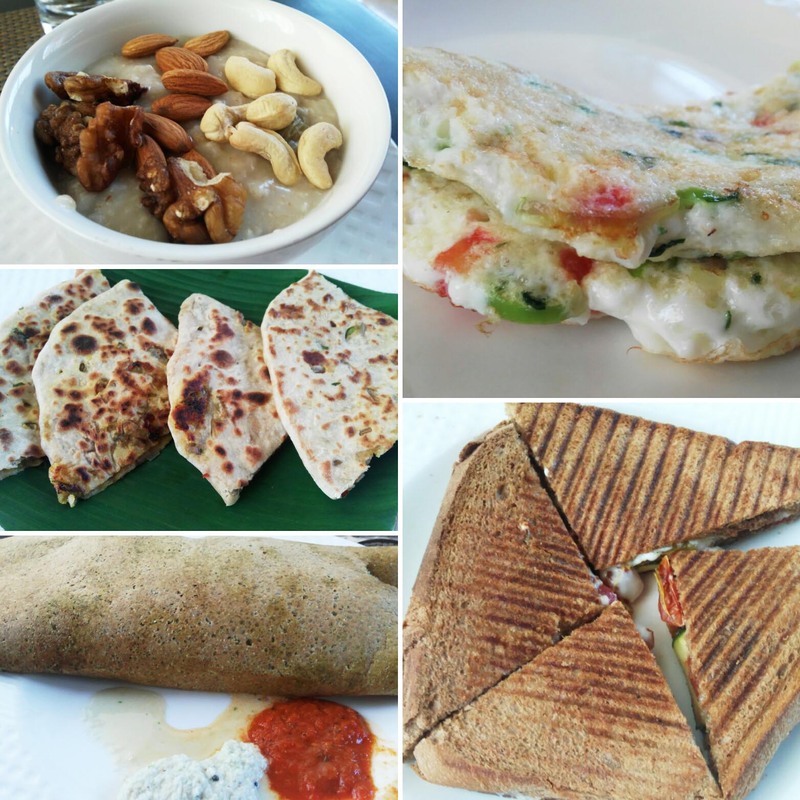 Buffet Breakfast at Courtyard by Marriott, Hinjawadi – Reviewed! Breakfast like a Queen! :) It is the first and the most integral meal of the day and I always make sure it to be the most filling and the healthy one. What if we get a whole lot of variety and get to eat whatever we want to? Just like a King? Yes, you can relish and kick start your mornings with the buffet breakfast offered at MoMo Cafe, Courtyard by Marriott, Hinjawadi. Mostly the in house guests at the hotel have their complimentary breakfast there. Breakfast buffet had a nice spread of different breads with one of my favourite sections —Cheese! 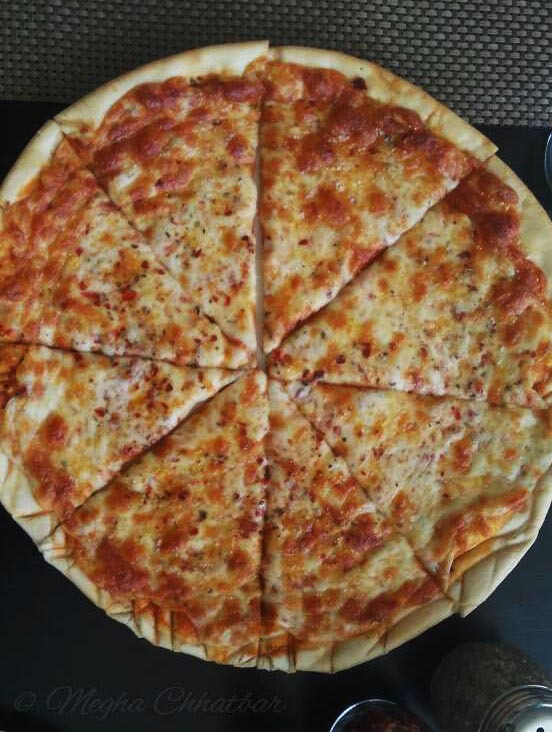 Gouda, Camembert, Swiss, Cheddar etc. name it and they probably have it! 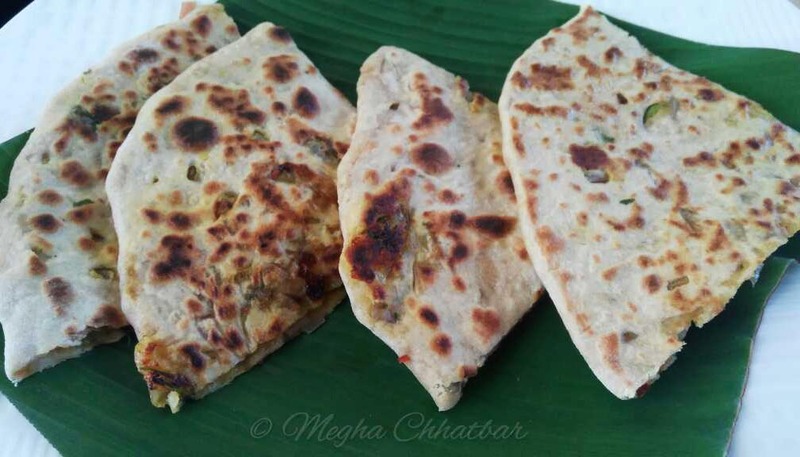 Paranthas of your choice served with pickle and curd. Idlis, 2 types of vadas, 3 kinds of chutneys, sambhar, Upma. Dosa counter is arranged separately where they provided plain,masala, multi grain dosa or any dosa as per requirement. Assorted fruits and nut soft cheese, oatmeals with nuts, fresh juices, yoghurts, eggs on demand. If you’re looking for something a little more basic, they also have a nice selection of cereals for you! Sandwich, assorted breads are also lined up along with pastries, muffins.. I was exhausted after a long distance driving and wanted to be energised. Started my breakfast with Watermelon Juice and what a quick flow of energy! I make sure my breakfast to be healthy one, so ordered Oats with dry-fruits and Egg White Omelette. 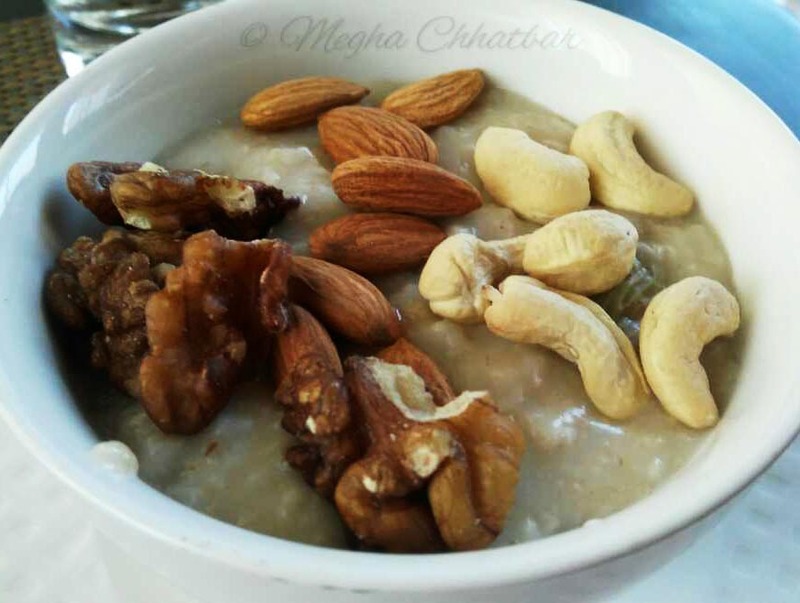 Oats porridge was cooked properly and the dry fruits were adding the health punch along with the crunch! 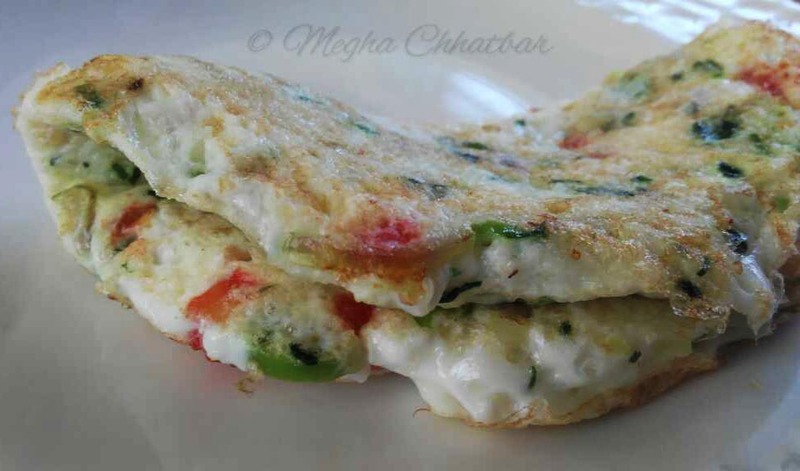 Guiltfree Omelette was cooked with onions, tomatoes and tasted lip-smacking. 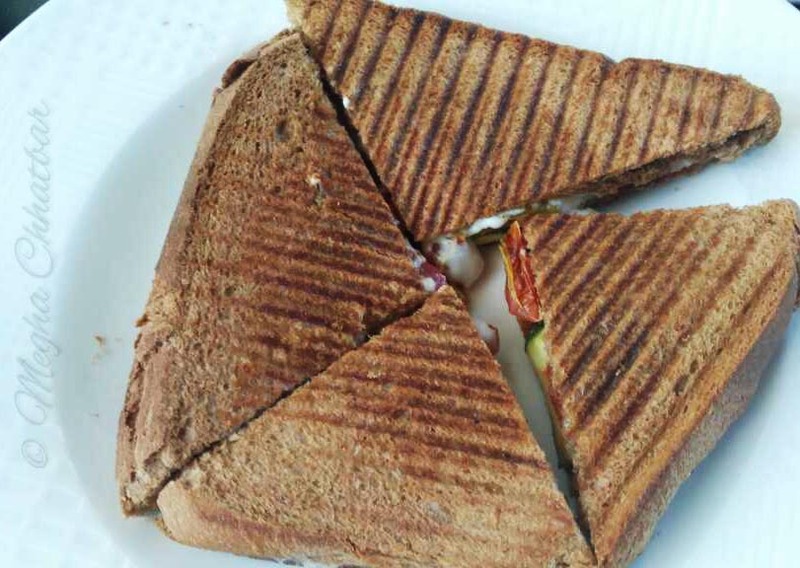 Few dishes on the recommendation of Ms. Nanavati were Mozzarella Cheese Parantha, Zucchini, Capsicum, Tomato grilled Whole Wheat Sandwich. and Pesarattu Dosa; and must mention what a choice! These three are highly recommended! The whole buffet was simply delightful. 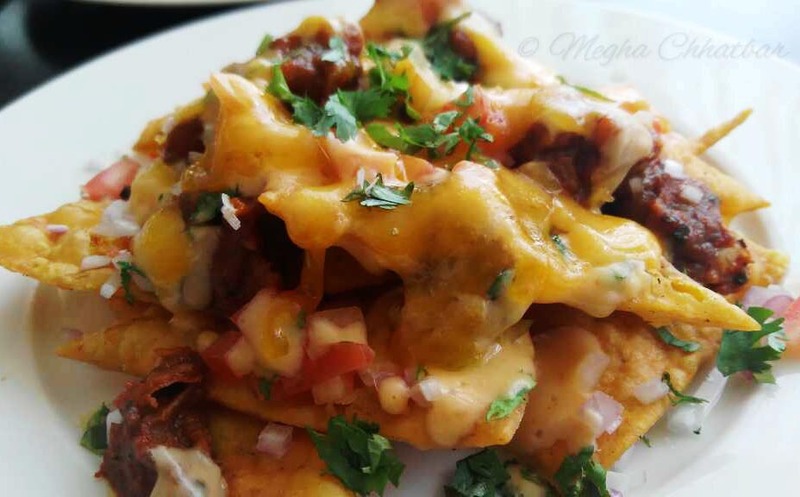 Varhadi comes basically from the Vidarbha region of Maharashtra which is quite a dry land round the year, one of the reasons their cuisines have homemade ingredients. Basically, Vidarbha region have two types of cuisines - Saoji and Varhadi. The difference is the spice level; Varhadi towards the milder side; still a killer for people who can't take spice. Eyes, nose and ears open with the first bite. Coming on to Varhadi Thali, authentically it has Patodi Rassa Bhaji (Gramflour cooked and put in spicy curry), Zunka (Again gramflour or chickpea flour cooked and tempered with onions, mustard, ginger garlic), Pithala, Bhakari, Bharli Vaangi (Stuffed brinjals), Puran Poli with lots of ghee poured, Gola Bhaat and Vada Bhaat. 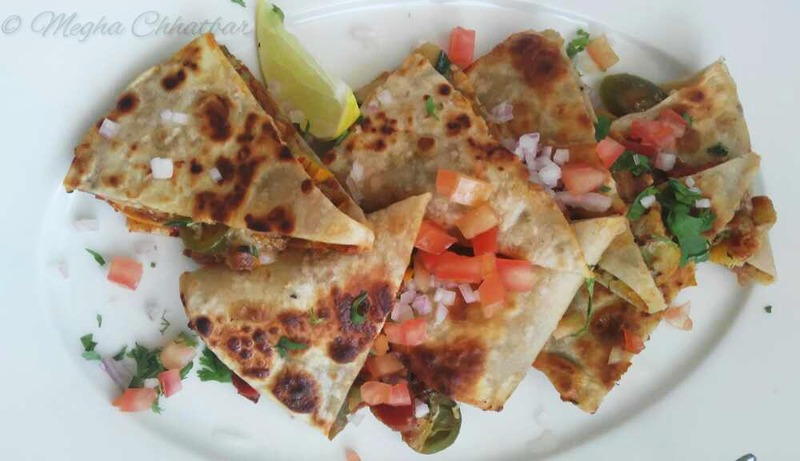 Varhadi cuisines is dominated by Chickpea flour (besan) preparations along with Black Pepper, Mustard, Red Chilli powder (obviously), Dried Mango powder. 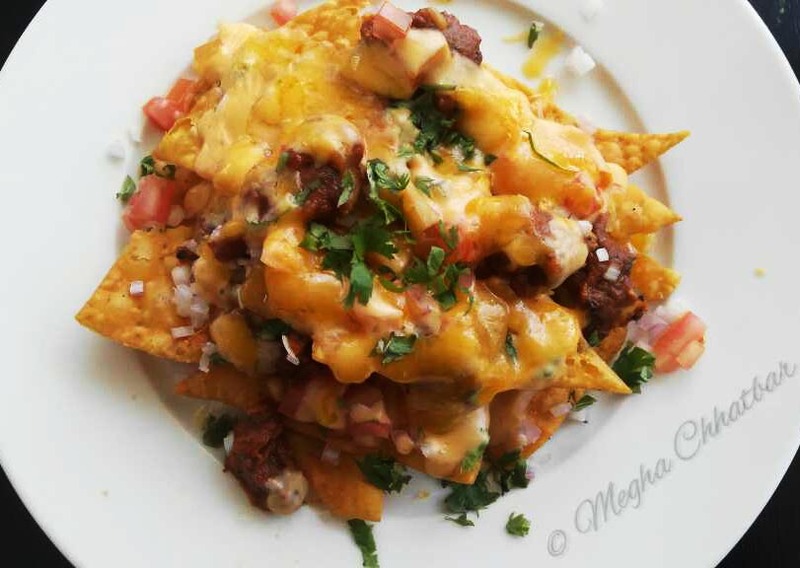 Finding traditional and authentic food out of any region is a difficult task. I had heard a lot about the Varhadi Thali and being a spicy food lover, I had to try this. Few places in Pune offer Saoji and Varhadi cuisine but never tried them so when I was invited by Mr. and Mrs. Nanavati to relish one of the specialities of executive chefs at Buzz, The Gateway Hotel, Hinjawadi. Mr. Ashish, Mr.Kaushik and Mr. Akshay, I accepted. 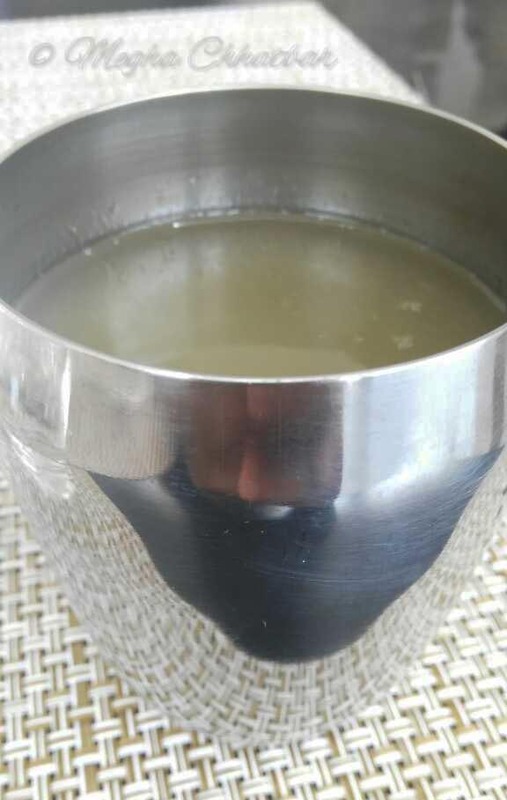 Tables were pre-booked and after having chit chats with chefs, we were served Kairi Panha, much needed raw mango drink in summer. It was truly refreshing and could not stop myself after having one. A five bowled chutney tray was next along with Wheat Kurdai. Kurdais were exceptional. 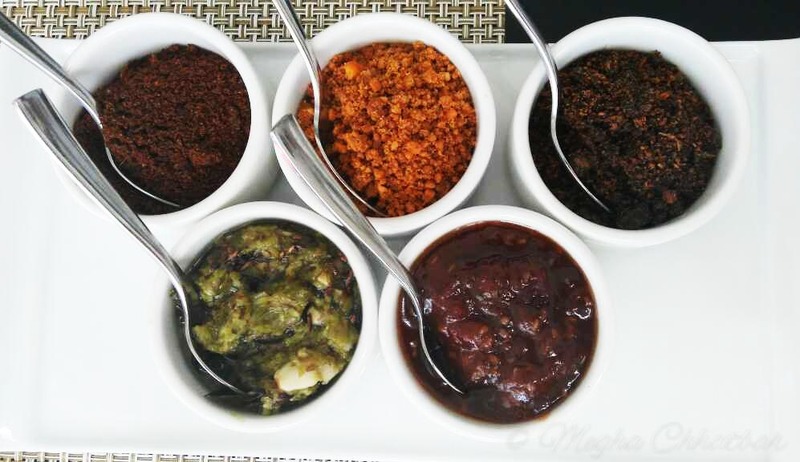 Green Chilli Thecha, Karla chutney, Jawas chutney, Peanut chutney each one of them had distinctive taste but Chilli Thecha ruled them! Woah! Then came our loaded huge Varhadi thali—big, colorful, full of aroma and variety. It had Tomato Saar, Moongachi Usal, Zunka, Patodi Rassa, Shev Bhaji, Bharli Vangi, Bhakri, Sambharwadi, Puranpoli, Gol Bhaat and Vada Bhaat. Where to start from? What to eat first? Everything was just par excellence. Tomato Saar, sort of soup, is made with grinding ginger, garlic, chillies and coconut with tomato puree. Surely was increasing appetite. Usal was very nice could have been better by adding more spices. Zunka was perfectly made with delicious tempering. Tasted best with Bhakri. Shev Bhaji and Patodi Rassa were surely tasted superb. 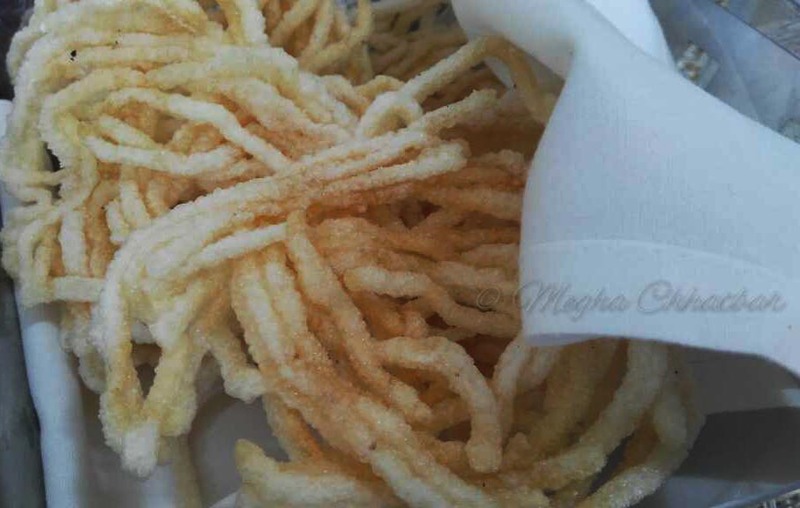 Traditional recipe made with gramflour and curry. 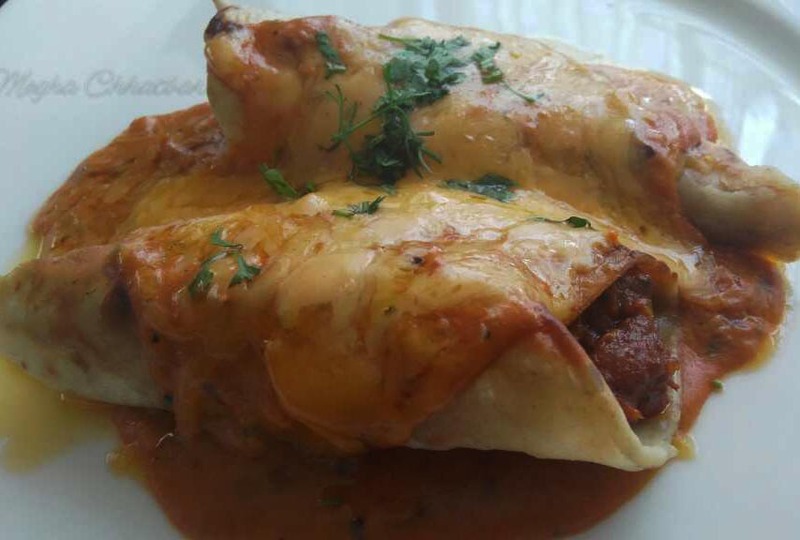 Bharli Vangi was another star with stuffed brinjals in an exceptional gravy. Sambharwadi is a spicy roll stuffed with fresh coriander, coconut, peanut and spices. A rare snack to find in Pune. Flawlessly made. Special mention for Puran Poli which had perfect balance of sweetness and thickness. Served with ghee it was a meal in itself. Not to be missed! One of the best Varhadi Thali you can get in Pune. Last but not the least, the team who put a lot of hard work, efforts on bringing magic to the plate. Applaud! 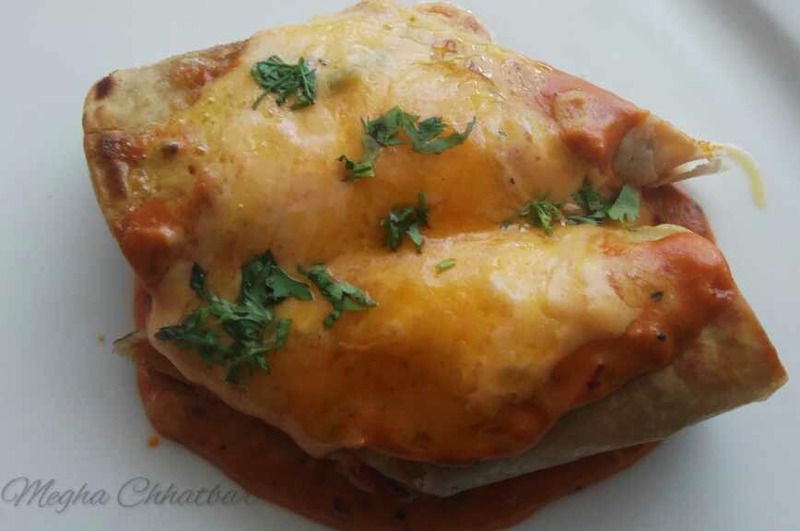 You can book your table at..
Royal Kitchens of India Food Festival at JW Marriott, Pune reviewed! 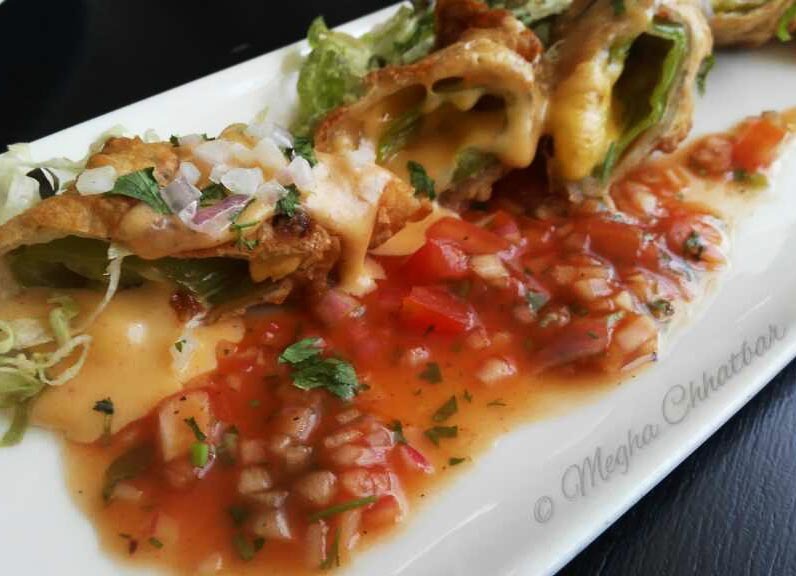 Royal Kitchen – one of my fascination to eat there. Wouldn't it be one of a life time experience to be a King/Queen and get a royal treatment? I would definitely want to try that. 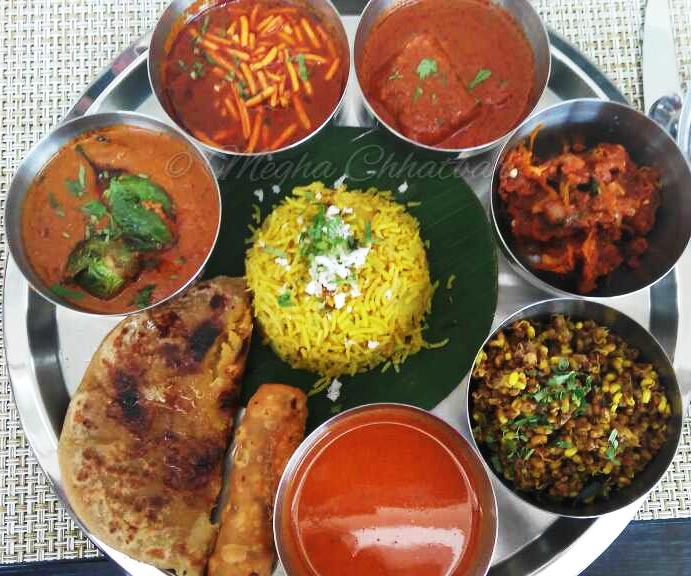 Not sure when but recently the wish was heard by JW Marriott, Pune and they arranged a 'Royal Kitchen of India' festival starting from 18th March to 31st March at Spice Kitchen and Shakahari. 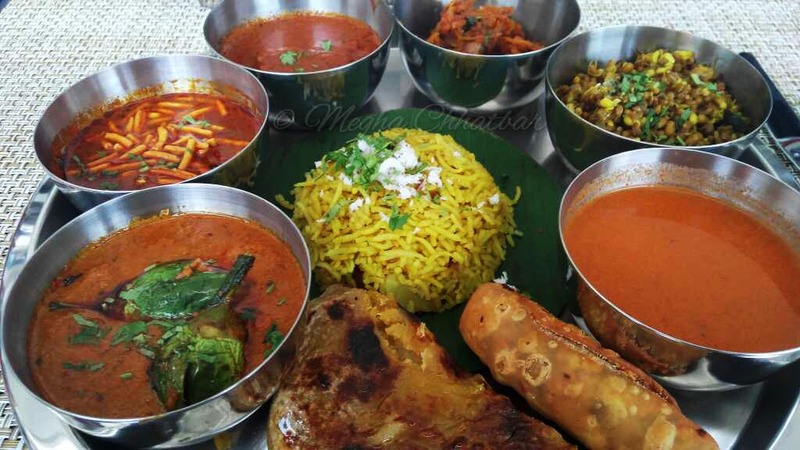 During the festival, one can get a unique chance to experience the erstwhile royal kitchens from the far flung lands of Kashmir, Rampur, Hyderabad and Lucknow. The food festival is curated by the team of renowned chef, Chef Mujeeb-ur-Rehman from Lucknow. Known for his delectable creations across the globe, Chef Rehman is a self-taught master and a perfectionist. 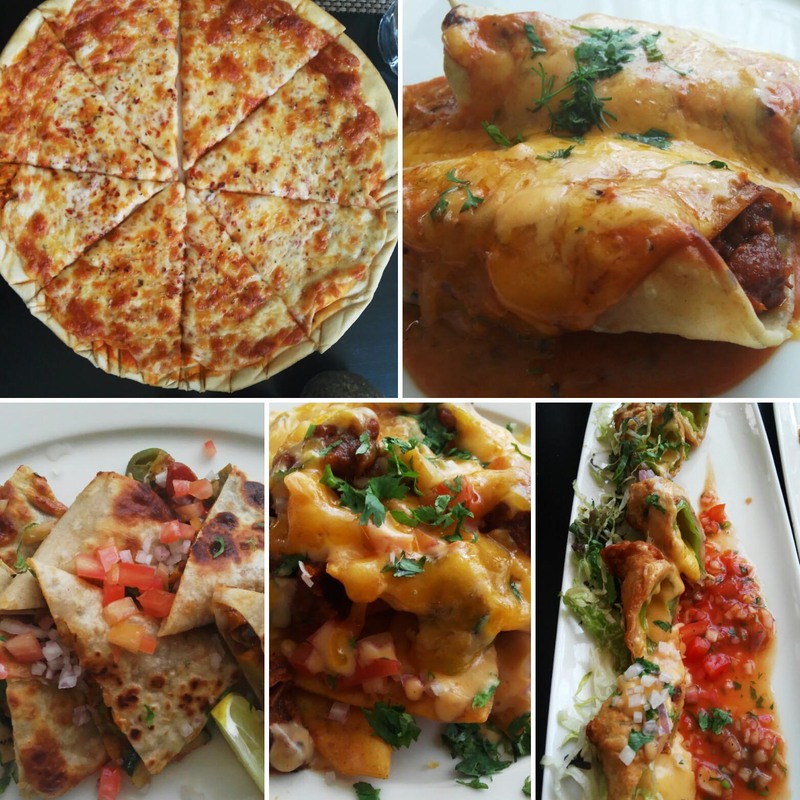 These dishes served in the festival are handcrafted by three chefs from the famed Chef Mujeeb-ur-Rehman’s team. Something which makes them different is their homemade masalas. They use Yellow Chilli Powder, Sandal Powder, Potli Powder, Achar Masala and Sabzi Masala. 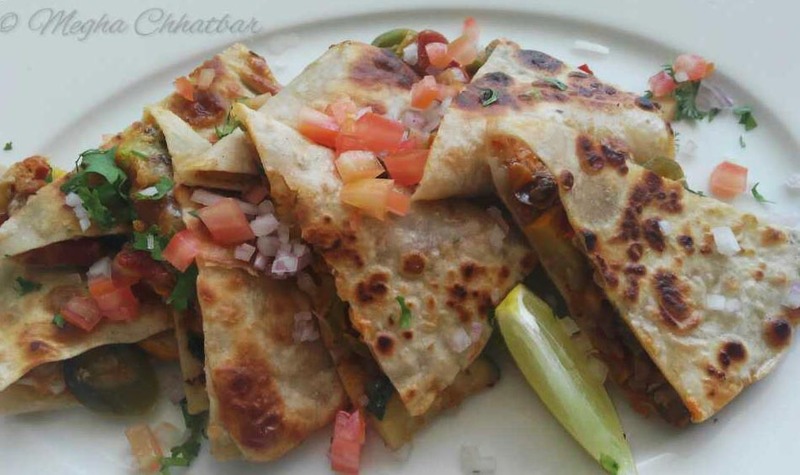 The festival is featuring few of the exotic dishes like.. I ordered for Spiced Mango Mojito, which had the minty freshness with mango pulp and chilli flakes. Spice level was perfect. We started with Sarson Paneer Tikka which was properly marinated with mild flavour of mustard and grilled to perfection. I could see Subz Shami Kebabs and wanted to try it eagerly. It is a very popular awadhi dish authentically made from minced meat, lentils and spices but since an option for vegetarians, this was made with carrots, beans etc. The kebabs are succulent, tasty and melt in the mouth. Dalcha is a popular Hyderabadi recipe, basically made from chana dal, mutton and tamarind but since for vegetarians mutton was replaced by tur dal and I must say, soft and creamy it was. Mutter Pulao is easy and made with mixing green peas into steamed rice. Tasted well with Dalcha. The Sheermal were so soft that you could it like that only. It is mildly sweet, saffron flavoured flatbread having an aroma of kevda water. Highly recommended! 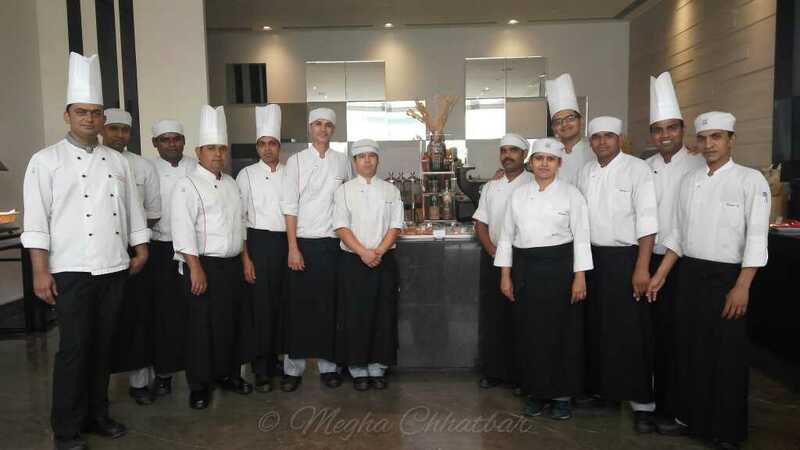 The chefs brought and used special four piece bhatti and assembled in the kitchen at JW Marriott. It is used specifically for making rotis here. My non-vegetarian loving fellow bloggers were going crazy eating Haleem and for them it was one dish you should not miss! Last but not the least, Paan shots were served to us and it was super cooling and refreshing drink. Few of the other desserts I tried from the menu was Red Velvet, Mascarpone Kisses, Fresh fruits...Here is what my plate looked like.. So, if you want to pamper yourself with the royalty, do not miss this limited time opportunity. Its so rare that we get to eat the food cooked by royal chefs. Do visit them today.